The jingles of over 2,000 slot machines and other gambling games sounded through the casino. Laughter floated in the air. Bright red, green and blue lights flashed from every corner. Clinks rang out as people clashed drinks in cheers. It was clear I was finally in Las Vegas, and the air was brimming with hope. There’s something magical about that feeling of “anything could happen.” But as I watched tourists mosey from table to table, holding out to hit it big, I couldn’t help but think of how this sort of gambling compares to another game of risk … investing. And how investing clearly has the greater rewards. OK, both games of risk are similar. Both involve an element of loss and reward. And the house, or Wall Street, typically has the advantage. Things can seem stacked against you. But there’s only so much you can do to prepare for a game of, say, blackjack. Meanwhile, there are countless opportunities to prepare for trading. Countless ways to stack the odds in your favor. You just have to know how to do it. And that’s precisely why I’m in Las Vegas this week. See, Banyan Hill Publishing is holding its annual Total Wealth Symposium at the Four Seasons here this year. It’s a huge, three-day event that ends today. And it’s geared toward helping investors come out on top in the market. Over the last few days, I’ve sat in dozens of presentations from some of the world’s top experts in investing, asset protection, privacy and more. I heard talks on the next step in the marijuana industry, how to legally profit from insider tip-offs and more. For those of you who were able to make it, a big thank-you for coming out. It’s been a wonderful experience chatting with you and hearing your stories. If you want to know of a massive trend that will be sure to mint millionaires over the coming year, robotics is your answer. Due to constant developments that are making automated technologies more convenient, economical and useful, the robotics market is set for incredible growth. The market for cloud robotics is forecasted to balloon at a compound annual growth rate (CAGR) of 8.9% from 2017 to 2025. The service robotics market is projected to exceed $22 billion by 2024, at a CAGR of 20%. The agricultural robot market is anticipated to reach $16.8 billion by the end of 2020. And it should reach $75 billion by 2025. The medical robot market is projected to expand at an incredible CAGR of 22.3% from 2017 to 2025. And 2025, the overall market for industrial and commercial robots is projected to balloon to $33.8 billion. In 2016, the market was valued at $12.3 billion. So, in less than 10 years, the market value could nearly triple. 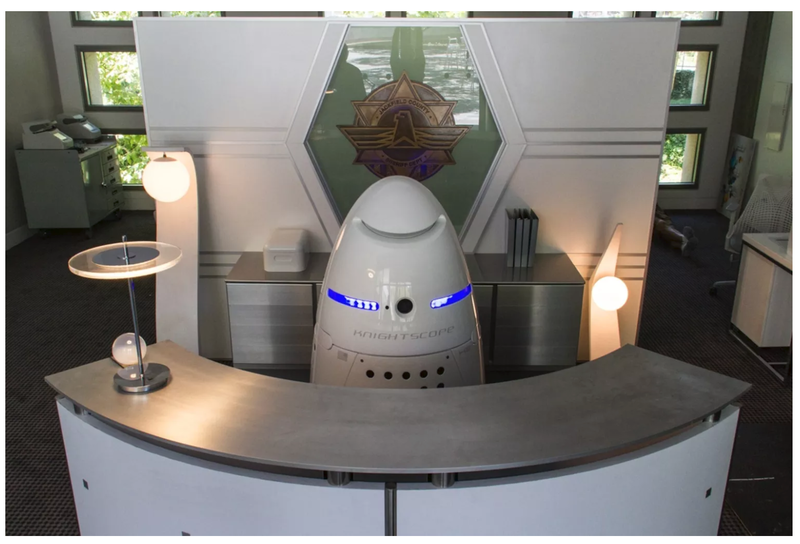 To make his point, Paul even introduced us to his friend, K5 — a 400-pound security robot developed by Knightscope. I admit, it was pretty cool to see a robot moving around the crowd of 500 people. We’re living in interesting times. Buy the “picks and shovels”: chip companies. These are the businesses making the essential components, the guts, of automated machines. Things such as programable systems on chips. Buy the companies that make robots. This one is obvious, but search for the companies on the forefront of robotics. Look into private companies putting out the newest breakthrough technology, and follow their progress. That way, you’re set to get in once they go public. Finally, simply buy the companies that use robots. Which businesses are investing in “automated employees”? These are the ones that will get the productivity and efficiency gains from the coming robotics boom. Again, it was great to see you all in Las Vegas! Can’t wait to do this all again next year.